Rapidly rising prices should always sound off alarm bells. These rises should not be a problem normally … if prices are a function of demographics, interest rates, household incomes and upcoming supply by zones. However, the key warning sign for unsustainable price growth is always and everywhere an accompanying growth in credit. This leads to a period of self-reinforcing price growth, where higher house prices give owners the equity needed to borrow against — and make even more purchases — in real estate. Often, swallowing the sales agent’s naive pitch, homeowners expect their price appreciation to continue unabated. In terms of data streams, this becomes apparent when you have multiple properties being bought by a narrow band of investors, fuelled by easy credit. However, when these prices get reacquainted with reality, the consequences can be brutal indeed, as the world economy — and Dubai — witnessed in the 2008-10 bust cycle. However, in the current scenario, asset prices have not run amok at all. Nor has there been an expansion in credit by the banks. Despite clamour by developers and agents to do so, regulatory authorities have thankfully remained vigilant in their steadfastness on loan-to-value ratios. Data shows that the concentration of buying has been far less, and even in the ready community, there has been a gradual rise in transnational activity suggesting a return to normality as investors discern value. In the off-plan market, we have seen is the rise of “gimmicks” — guaranteed return schemes by developers to entice buyers alongside post-handover payment plans. While there has been much hand wringing on this aspect, the data suggests that buying in off-plan has risen mostly in areas where there has been sensible pricing, alongside master community management that focuses on self-contained communities with growth potential. Unsurprisingly, Dubai South has become the most traded area in the off-plan segment — despite the lack of any such incentives being extended. Interestingly, the pattern of off-plan buying suggests a reduction in bulk buying. This reduction of concentration risk is a further healthy signal that investors have been cautious in this cycle. The analyst community have decried these stunts as a prime exhibit of bubblelike conditions, suggesting a further softening of the market ahead. In uncertain times, there is always a value in the marketplace for Cassandra like prognostications. And despite evidence that suggests otherwise, they continue to advocate an exit from the marketplace. The reality is that we live in a low-return world, and going to cash reduces returns further. In fact, a move to cash reduces returns down to zero. While this may sound prudent, as investors wait for a correction, this is not the behaviour that usually transpires. Instead what we see in the data is a painfully pro-cyclical behaviour by investors. Given the return expectations, the strategy that makes the most amount of sense is to pursue bespoke strategies and/or niche areas that are able to give returns that are above the market. There are a number of such opportunities that are available in specific areas of the freehold space. These could be the refurbishment of older sub-optimised assets that have had weak oversight by association boards to purchasing assets that have long-term leases in place). Some of these deals have been well publicised, from the entrance of southern African investors into a bespoke office building in Dubailand to the recent acquisition by Emirates NBD REIT of an asset in Media City. To be sure, the challenge remains in identifying such opportunities. Fortunately, as the market has started to accumulate data after the initial frenzy of boom-bust cycles, both opportunities — and managers — have emerged to systematically beat the market. It is puzzling to note that instead of commentary focusing on such areas, the analyst community remains fixated on off-plan launches and the warning signs these are accompanied by. The traditional narrative remains of “one-way” markets. In such an ecosystem, new investors merely add to the herd mentality, both on the way up as well as on the way down. Commentary and thinking that continues to reflect this ecosystem is outmoded and dangerous for the investor community. Investors need to be prudent at all times to be sure. 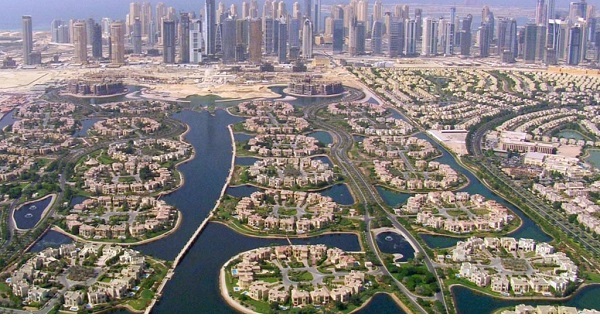 However in the quest for alpha assets in Dubai, there is a greater return trajectory potential in niche areas. Short-term gimmicks come and go, but the data continues to suggest that returns from Dubai’s asset markets remain far superior to most in the developed world.